Posted by CCLD in Teen. I just got back from the 10th annual Teen Book Festival in Rochester, NY. What. A. Blast! Teens crammed the halls, classrooms, and auditoriums of Nazareth College, clamoring for their favorite writers like they were rock stars. (Because they ARE.) Bestseller list YA authors (Ellen Hopkins, Sarah Dessen, Gayle Forman, Cinda Williams Chima, Matt De La Pena) and up and coming writers (Jason Reynolds, Jennifer Niven, Heather Brewer, and many more) ran hour long Q&A sessions, autographed books, and alternated between joking with teens, and inspiring or encouraging them. I couldn’t stop smiling: at the excited teens calling out questions, authors hugging their fans, the long lines of young adults waiting to buy books, waiting for autographs and pictures. I overheard animated conversations about which actors should play what book characters, what series they had finished and what they were reading next. “I stayed up until 4am to finish it.” “Me, too!” “I saw Ellen, Mom. ELLEN! (Ellen Hopkins). Star struck excitement got me, too. I saw author Jennifer Niven go into the bathroom and I caught myself thinking “She goes to the bathroom just like the rest of us!” and then I laughed at myself. If you like to read, write, or know a teen who does, this event is Not To Be Missed! Rochester Teen Book Fest is free, held every May on the Nazareth College campus, and founded and directed by awesome teen librarian Stephanie Squicciarini. Posted by CCLD in Steele, Teen. Teens ages 12-18 can learn, build, design, and create in Steele Library’s new Tinker Lab and Broadcast Lab on Teen Maker Night, beginning Tuesday Nov. 25 @ 6pm. (Registration is required, call 733-9173). November’s project will use littleBits circuit kits to make monsters that move, breathe fire (maybe! ), and have lights. 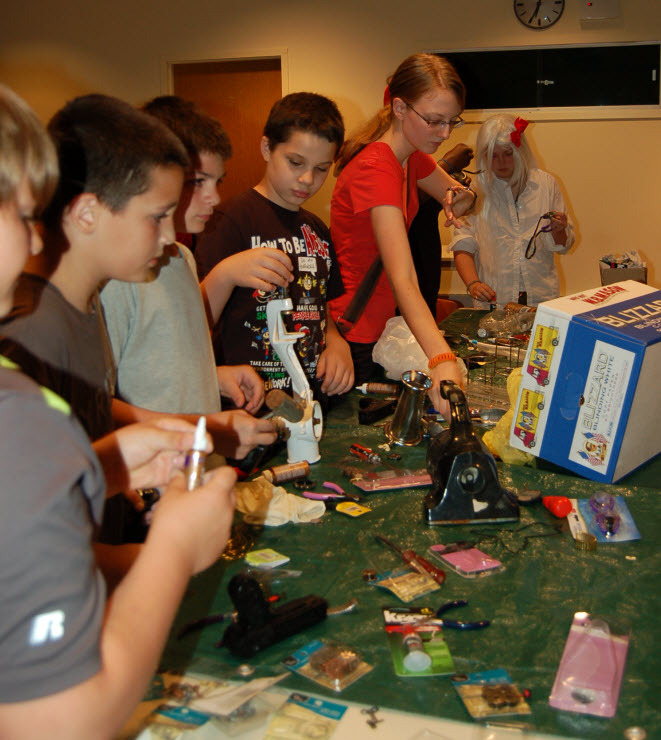 Teen maker night will be once a month on the 4th Tuesday of each month at 6-8pm. Future projects will be determined by the interests of the teens, so let us know what you would love to do! The possibilities are endless..and not just high tech projects, either. 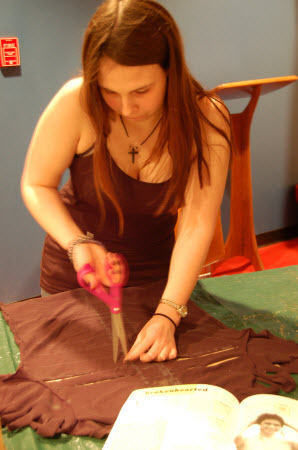 We can explore everything from sewing and jewelry making to making a podcast or video, or printing with our 3D printer. Teens, it is up to you! 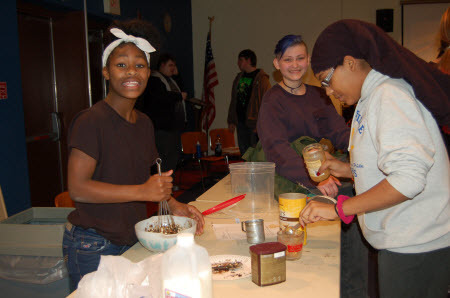 Creating and “messing around” in a supervised makerspace is a fun and informal way teens can expand talents and skills, develop confidence, new friendships, or discover career paths. Learning by reading, doing, creating and collaborating are what libraries are about. Teens! Let me know what you want to do or explore on Teen Maker Nights! Email teen librarian Doris Jean at metzgerd@stls.org, submit ideas on the CCLD Teen Tumblr page, http://ccldteens.tumblr.com/ or call 733-9175. Posted by metzgerd in Steele, Teen. I’m very fond of teenagers. Why? Because they are full of intensity of thought, emotion, and growth. They are creative and open to new information and experiences in their search for figuring out who they are now, and who they want to be in the future. Libraries are the best public places for making friends, collaborating, being creative, building relationships, and learning (by both reading AND doing). These characteristics make teens and libraries perfect for each other. Teenagers have unique developmental needs that are necessary to becoming successful adults. Young Adult library programs (ALWAYS developed in conjunction with teen input), are key in nurturing these needs. Library programs and volunteering teach responsibility, technology skills, develop teens’ interests and talents, prep them for academic success, and more. Mary: “I’ve never been to anything like this before!” Can we do this again…?” (referring to the Vampire Masquerade Ball the Friends generously funded). I see teens expanding their skills and confidence by creating designs for CCLD’s block at the sidewalk painting festival, planning a peer learning web programming workshop, and leading the monthly Manga group. New friendships are forged over a Wii video game, and informal homework help sessions between students pop up during teen night. Most poignantly, a teen came to me for help with a family crisis, because she had “nowhere else to go” (except the library) and liked and trusted our youth services staff, since meeting us through teen hangout night. I started a TAG (Teen advisory group) for the Central Library. Currently, I have 6 teens in the group. We meet once a month to brainstorm and plan young adult programs, assist with children’s programs, discuss what books, games and music the library should purchase, and determine which fun community outreach events we will participate in. Several of the TAG members are also regular library volunteers. • Elmira Streetpainting Festival: TAG designed and painted a library themed square. • Hero Bot Con: TAG members dressed as their favorite manga or sci fi heroes, helped library staff at the CCLD table, and took turns being Booker. Weekly Teen Hang out Night (every Tuesday at 6pm) came directly out of the teen survey I conducted with the help of the Elmira City school librarians. The number one request from area teens was for an after school hangout time. 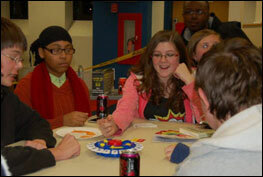 • Teens play board and video games, socialize, and enjoy snacks. One teen said: “I like coming here because this is the only place where I can be with people I LIKE.” Teen night (and the library in general) is a safe, congenial place away from the social pecking order at school, or a chaotic home life. *in collaboration with librarian Jennie Lewis. • Join us every month for popcorn and good natured heckling of hilariously bad, cheesy movies. Geek out on all things Manga and Anime! Share your favorite movies & books, draw manga, learn about Japanese culture and more! • Implement programs on game design and gaming. • Re-design the CCLD teen webpage and update the content, in partnership with virtual services librarian, Jennie Lewis and TAG. • Plan, design & find grant funding for a dedicated teen space in the Central Library. We envision this to be a vibrant, active space, one in which teens can do gaming, collaborate and create on computers and other digital media, listen to music, socialize, and..yes….read and study. We are always looking for teen input or participation! Contact teen services coordinator, Doris Jean Metzger at metzgerd@stls.org or 607-733-9174. 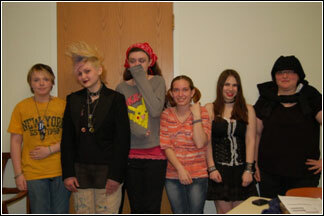 Watch our calendar of events and facebook for further teen library adventures! Karyn M. Peterson. “Pew Study: Teens Still Love Print Media, ‘Traditional’ Library Services.” School Library Journal. June 25, 2013.